Werewolf guardian, Damon Trahan lives by a code; protect the pack with his life. Damon has experienced death and betrayal, now all he wants is the freedom of his Harley and the loyalty of the men he rides with, the only family he has left. Those are the things he knows and believes in. 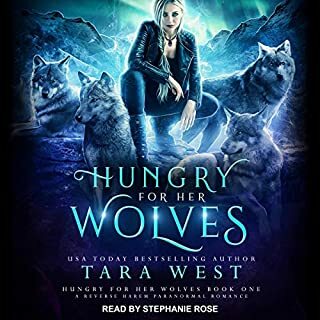 Love and the hurt that comes with it has no place in his world, until he receives new orders to rescue female werewolf Ava Renfroe from a pack of rogue wolves. 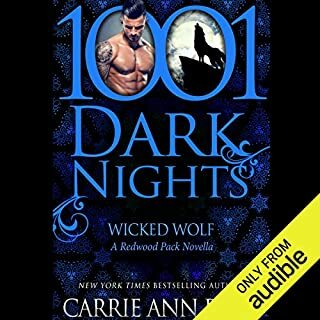 The Narrator is Ridiculous. .
I’ve read Carri Ann Ryan books before but never shifter books, I don’t read shifter books often and I’m critical to them. But when I love an authors other books I take a chance on genres I don’t normally has a craving for. * The storyline progresses nicely in each book. * Glimpse of secondary characters that I can’t wait to read. I like that the story involves humans and witches too so I feel like it reaches far beyond wolves 🐺 it makes the story more intriguing and enjoyable. Good pronunciation and read with feelings so I enjoyed it very much. If you’re looking for a series with shifters I recommend you start with this box set. I have just purchased this audio because I absolutely love Carrie Ann Ryan's books; however I am seriously thinking of asking for a refund of my credit due to this narrator (Gregory Salinas). His voice is monotone and very boring. This is a 3-story audio but I do not think I can listen to this man much longer. Again, the story is GREAT!!! ; because I bought the first book and read it which is why I purchased the audio, but please Ms. Ryan, find someone else to narrate your books. Narrator was good in this series so far. I would listen to other books narrated by him. These three books help introduce you to the pack, their leaders and their mates. The first two books had quite a bit of angst in them. The third book had more focus on the problems with the humans while introducing the witches. I enjoyed these reads and will be continuing to read the rest of the series.